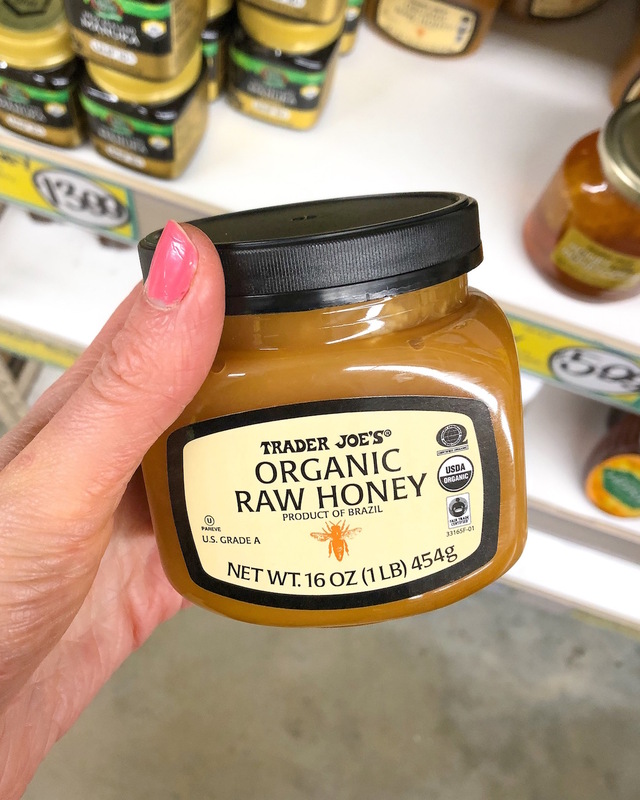 If you keep up with me on my Instagram story then you probably bore witness to my first excursion to my new local Trader Joe’s store in Hoboken, New Jersey last week. This will probably sound so silly to those of you who don’t live in a large city, but gals I have been D R E A M I N G about this day for years. Going grocery shopping was one of my favorite errands to do with my mom when I was growing up. 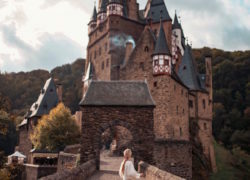 I dunno why, but I found it so relaxing and even through college I loved my routine of driving to the store, walking my cart around the aisles and being able to check everything I needed off of my list. …Then I moved to New York. 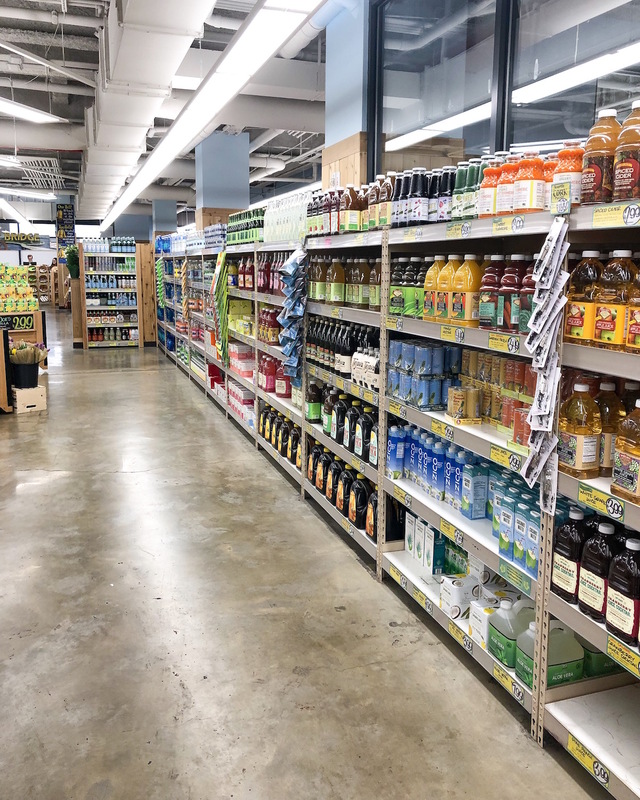 The long lines, cramped aisles, high prices and the process of having to schlep everything home by hand quickly turned an errand I looked forward to doing into something I absolutely dreaded. Don’t get me wrong! 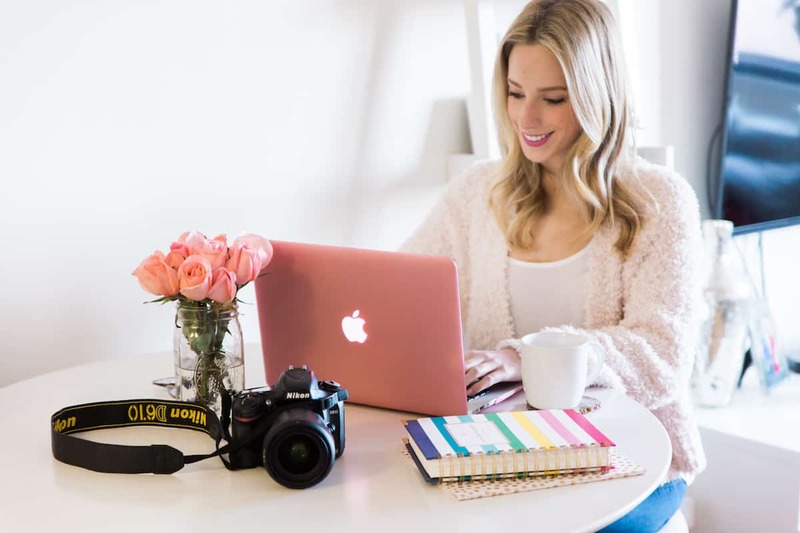 I loved living in the city and life there had a lot of perks that I’m sure I’ll eventually miss, but being to drive to the store and know that I don’t have to physically carry all my groceries home has been life-changing. Also the Hoboken Trader Joe’s was huuuuuuge compared to my old store in the city. I walked in and my jaw dropped when I saw the wide aisles! 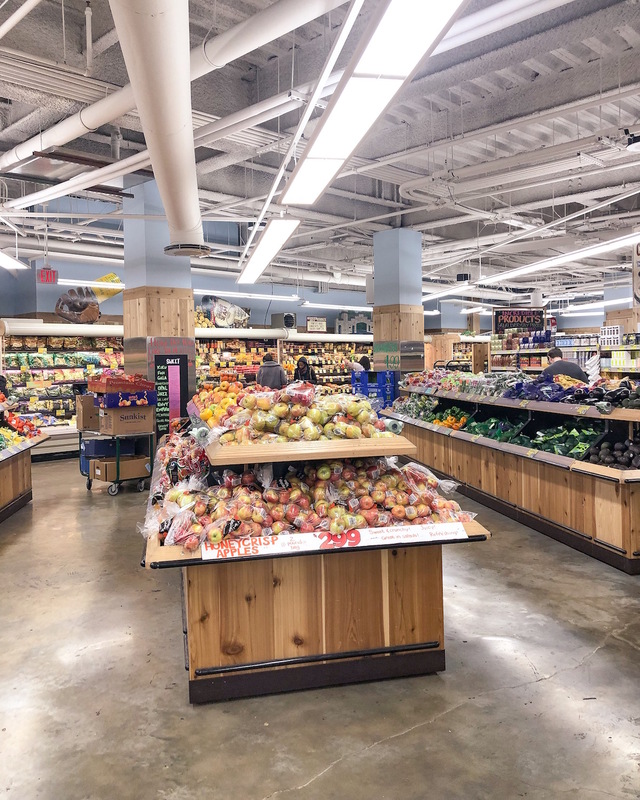 I’d become so accustomed to a small store format that it didn’t even occur to me that aisles were a thing at Trader Joe’s. Oh and on top of that? There were hardly any other shoppers! If you walk into any Manhattan Trader Joe’s at 5PM it’s like a flash mob. In New Jersey? Just a few moms with strollers! I was so shocked that I even asked the cashier if it was normally this quiet. I was pleased to find out that it’s relatively tame any time on weekdays, but as with any grocery store the weekends can get a little cray. I prefer to do my shopping during the week so that news was all good with me! Okay story time over. Now let’s get to the good stuff! 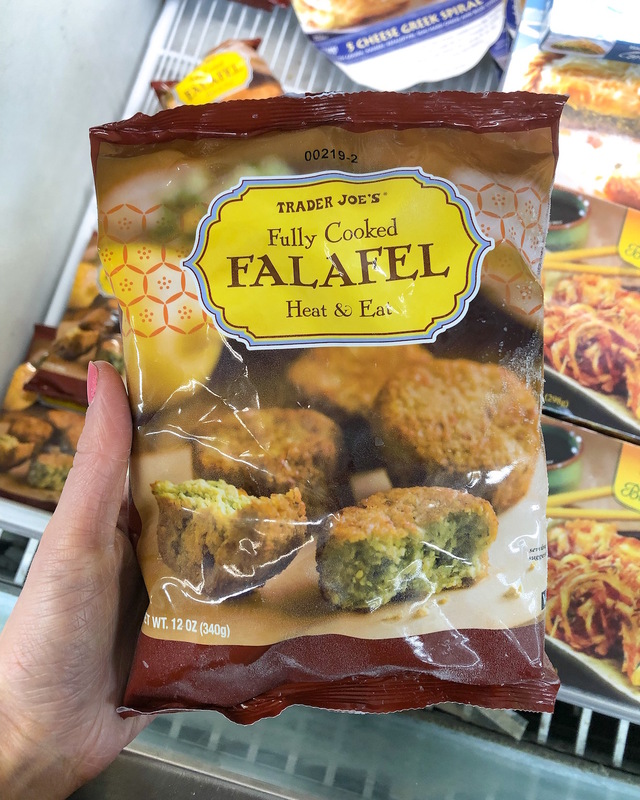 Fully Cooked Falafel // Probably my favorite Trader Joe’s discovery! If you aren’t a big fan of meat or are looking for a hearty addition to salads or grain bowls these are awesome. Organic Tuscan Kale // Hate crunchy lettuce and de-stemming kale? ME TOO. Trader Joe’s must’ve had me in mind when they decided to sell pre-cut bagged Tuscan kale because this stuff is bomb. I buy at least two bags every time I go! It makes whipping up a kale salad or quinoa bowl a breeeeze. 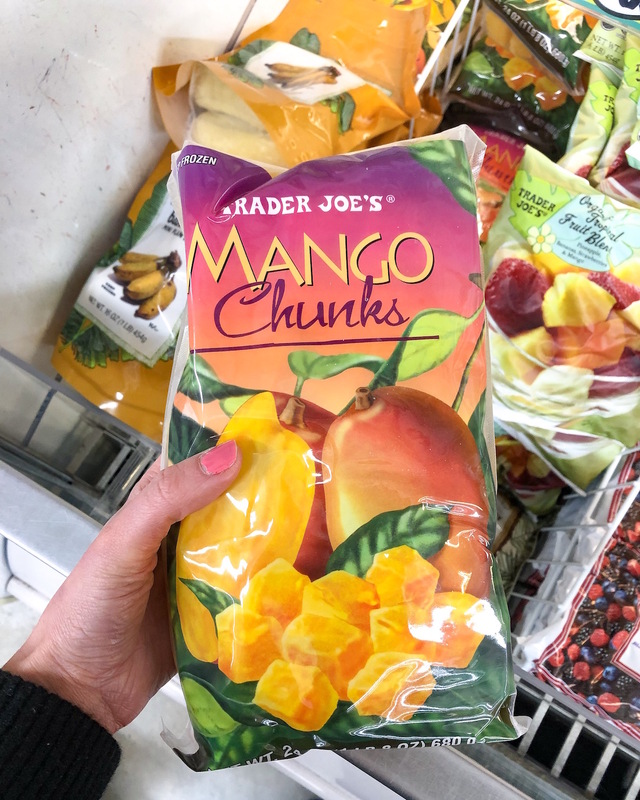 Bagged Frozen Fruit // Frozen fruit can really add up especially when you’re buying multiple bags at a time. 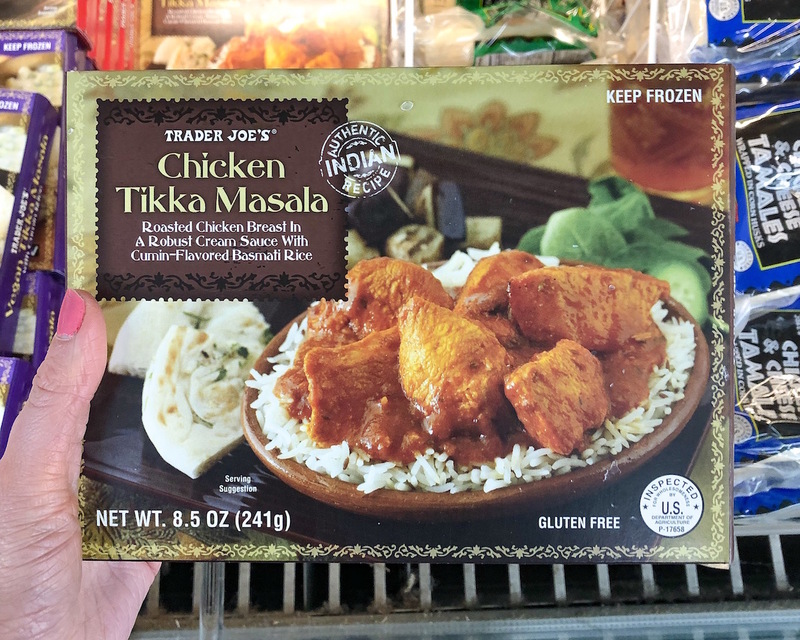 After shopping at a number of stores, I’ve found the frozen selection at Trader Joe’s is the most affordable. 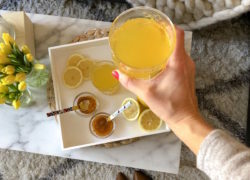 The pineapple chunks and mango are my go-tos for adding to smoothies! 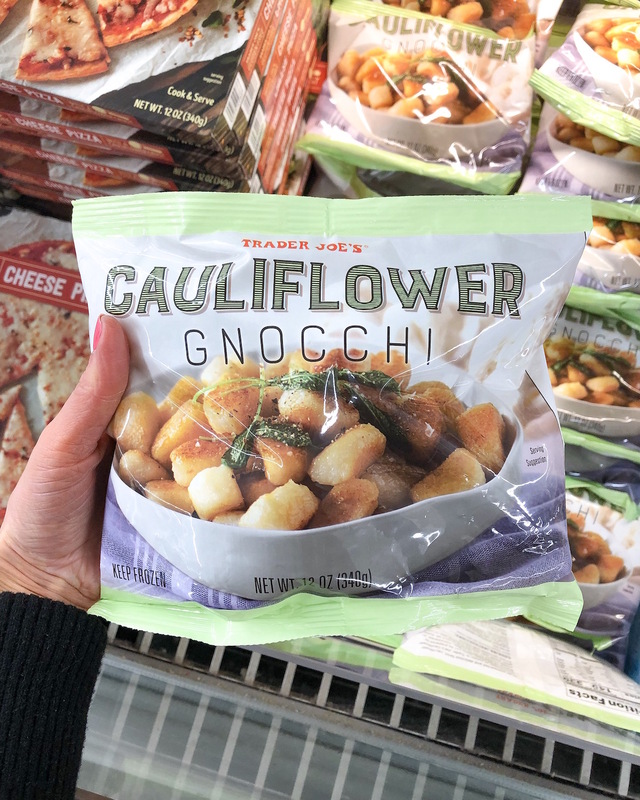 Cauliflower Gnocchi (frozen) // A cult-favorite Trader Joe’s product. It was almost always sold out at my store in the city so when I finally got my hands on a bag I felt like I’d found the holy grail! Tip: skip the directions and just fry these straight from the bag in a pan with oil on medium high heat. Super yummy topped with pesto sauce! Chicken Tikka Masal (frozen) // One of my go-to microwave meals and surprisingly very flavorful! The portion size is perfect for lunch and just enough that you don’t feel overly full. 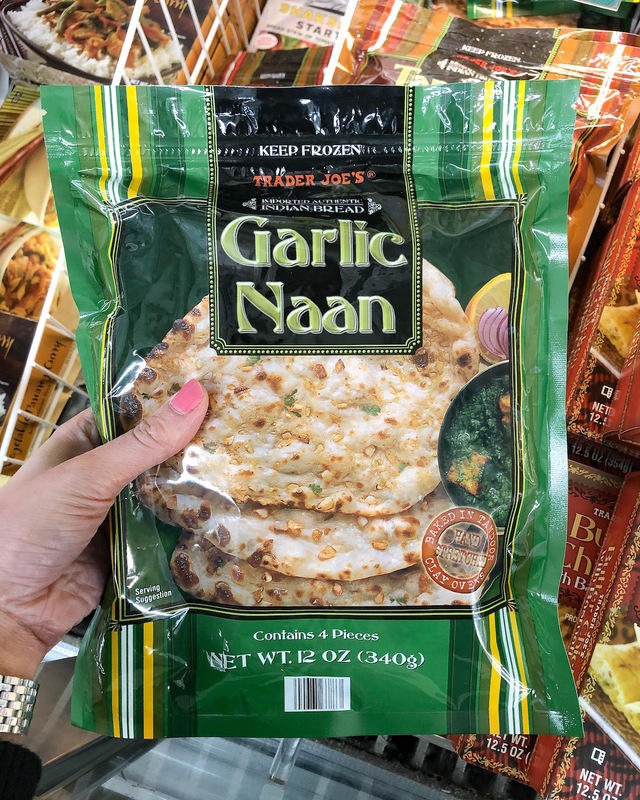 Garlic Naan Bread (frozen) // I was totally skeptical of this bread, but decided to give it a go since your gurl looooooves garlic. I’m so glad I did because it’s super tasty, especially hot out of the oven. I love cutting it into strips to dip in hummus or crumbling over a salad! 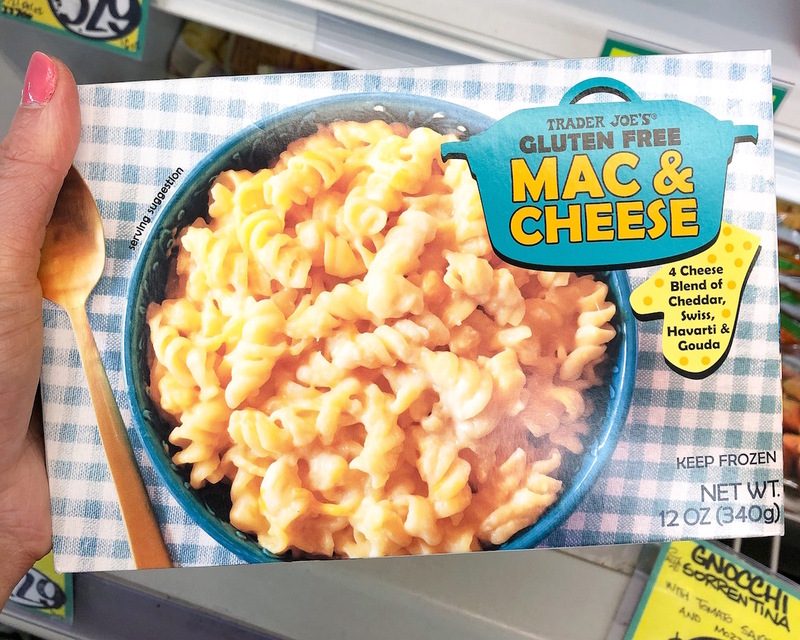 Gluten Free Mac & Cheese (frozen) // Another frozen item I was skeptical of at first, but finally decided to try thanks to the drool-worthy packaging. I’m glad I did because this mac and cheese is soooooo rich and creamy! I love warming these up when I’m in a time crunch or just looking for a cheesy treat. The small portion size + lack of gluten helps you feel less guilty about indulging! 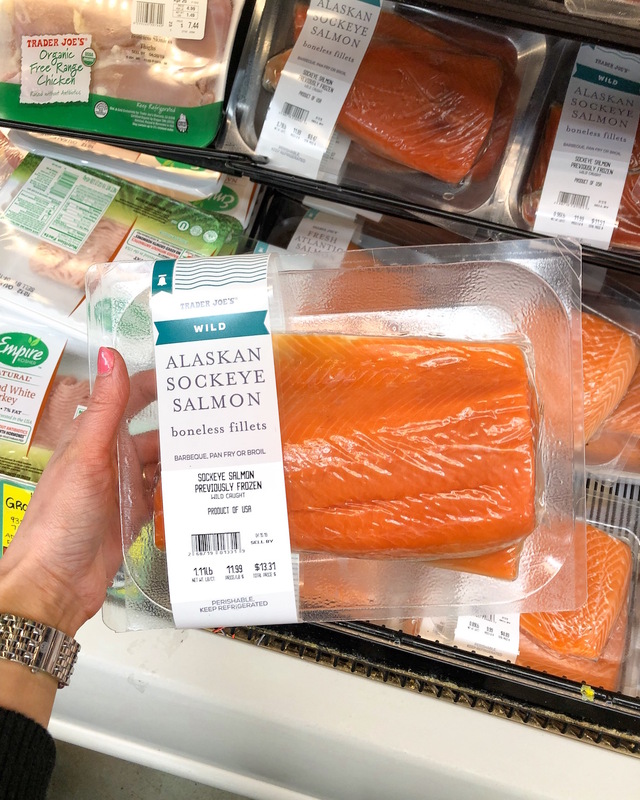 Wild Alaskan Sockeye Salmon // I don’t buy a lot of fresh meat from Trader Joe’s (I prefer Whole Foods), but I am a fan of the wild Alaskan sockeye salmon. The price isn’t too hard to swallow (usually $11-14 depending on the wight) and I love how each package includes two separate filets. Perfect for whipping up dinner for two! 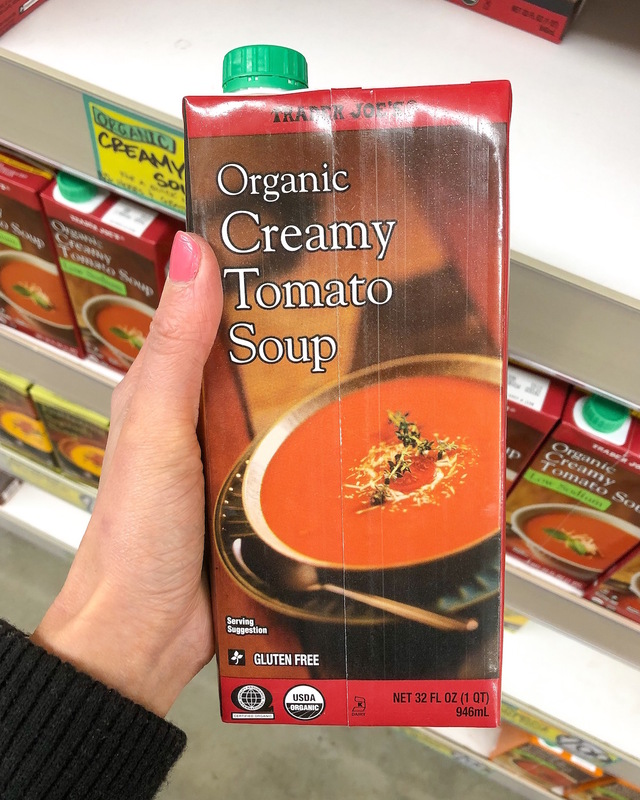 Organic Creamy Tomato Soup // Hmmmm fresh hot creamy soup! This is another one of my go-to easy lunches. It’s thick and flavorful. Tip: to make it more hearty you can throw in quinoa, kale and sweet potato! 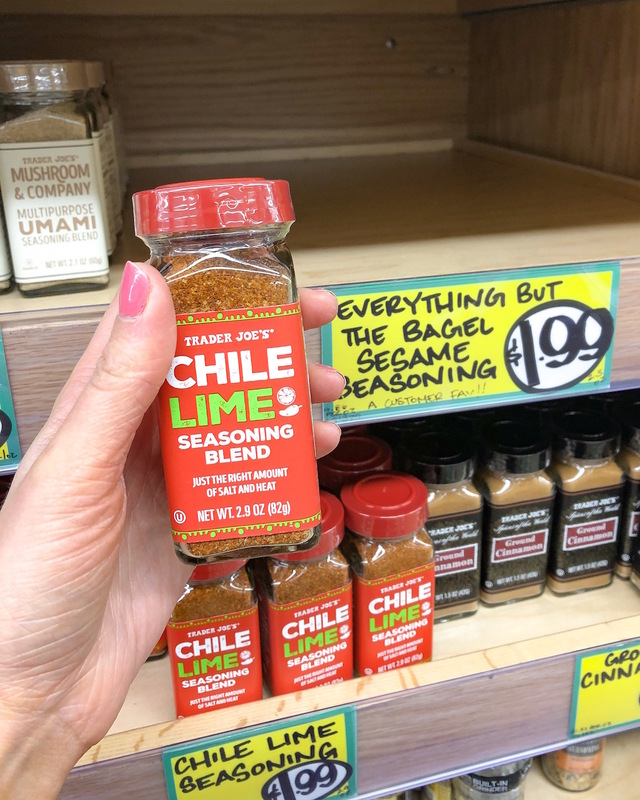 Chili Lime Seasoning Blend // Trader Joe’s has some really unique products in the spice isle and this is one I always have stocked in my pantry. One of my favorite ways to use it is for riming margarita and bloody mary glasses, but I also like shaking it over french fries or fresh avocado. Everything But The Bagel Seasoning Blend // This tastes exactly how it sounds but good luck finding it in stock! The Hoboken Trader Joe’s was sadly out when I went last week, but best believe the next I see it I’ll be stocking up in bulk. This seasoning is so good over fresh avocado or a deli sandwich! I feel like it would even be tasting topped on baked chicken too. 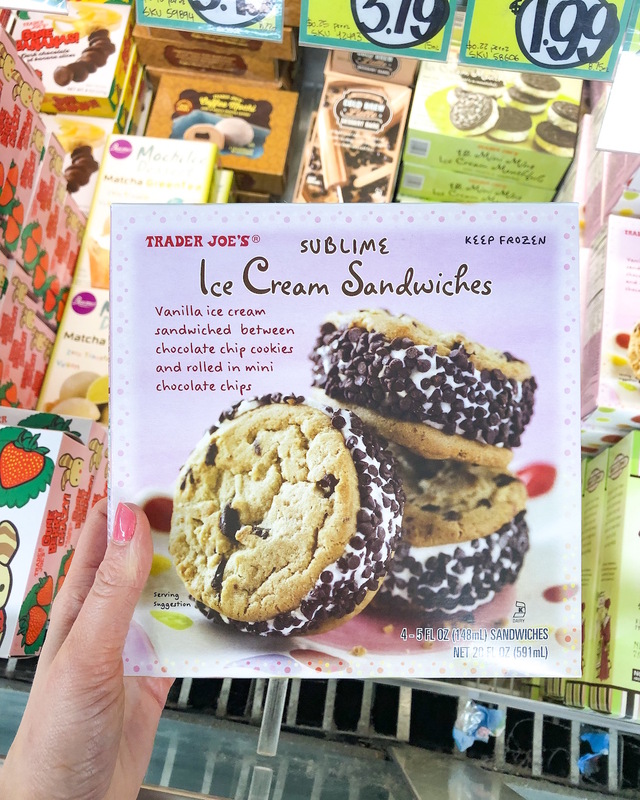 Sublime Ice Cream Sandwiches // I’m warning you. These ice cream sandwiches are AMAZING. Soft chewy cookies + sweet creamy vanilla ice cream = DELICIOUS. Take that and roll the outer edges in mini chocolate chips? Absolutely addicting. 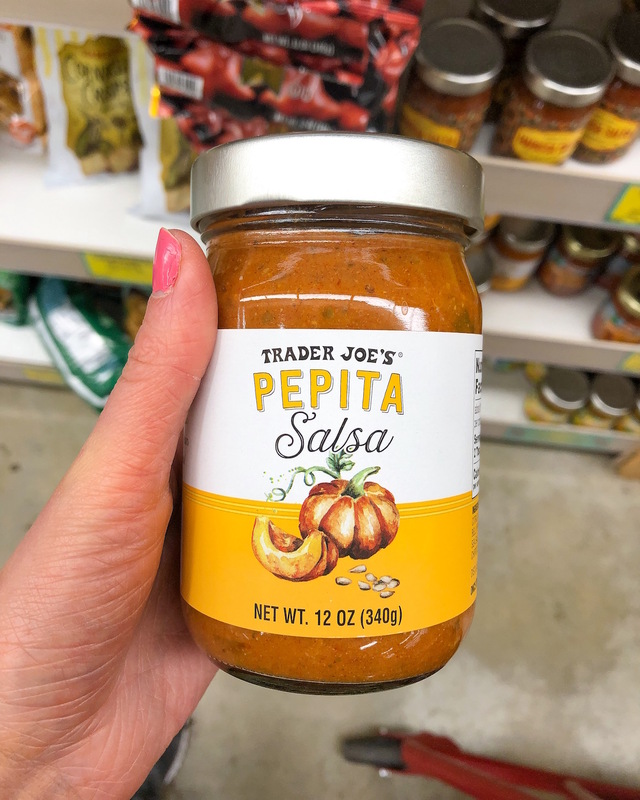 Pepita Salsa // I’m not a big of chunky salsas and prefer ones that are smooth, but still packed with flavor. This one hits all my criteria and more! It’s a good salsa especially if you have varying preferences/spice-tolerance among everyone in your home. It’s slightly smokey, harvesty and has a little bit of kick that’s not too overpowering. 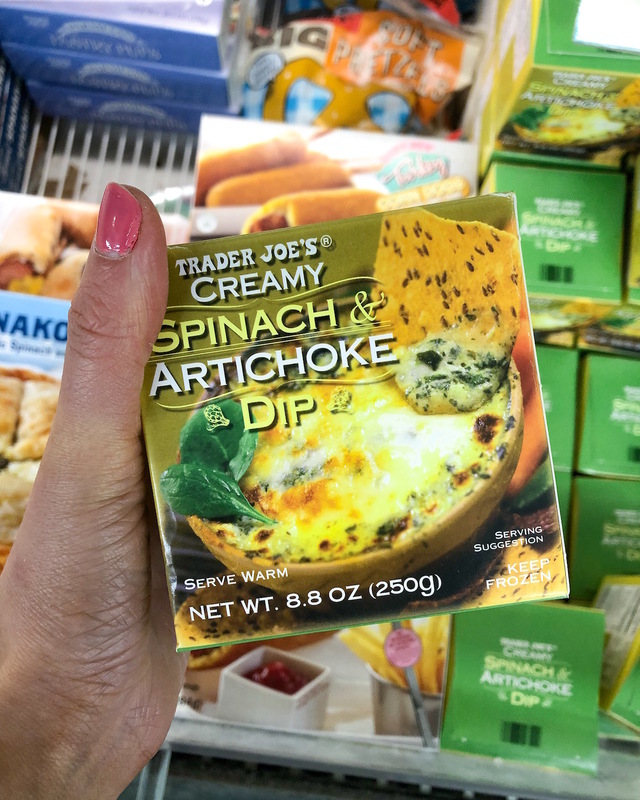 Spinach & Artichoke Dip (frozen) // Total crowd pleaser! I love parking myself in front of the TV with a big bag of tortilla chips and a steaming hot bowl of this dip. It’s SO GOOD. 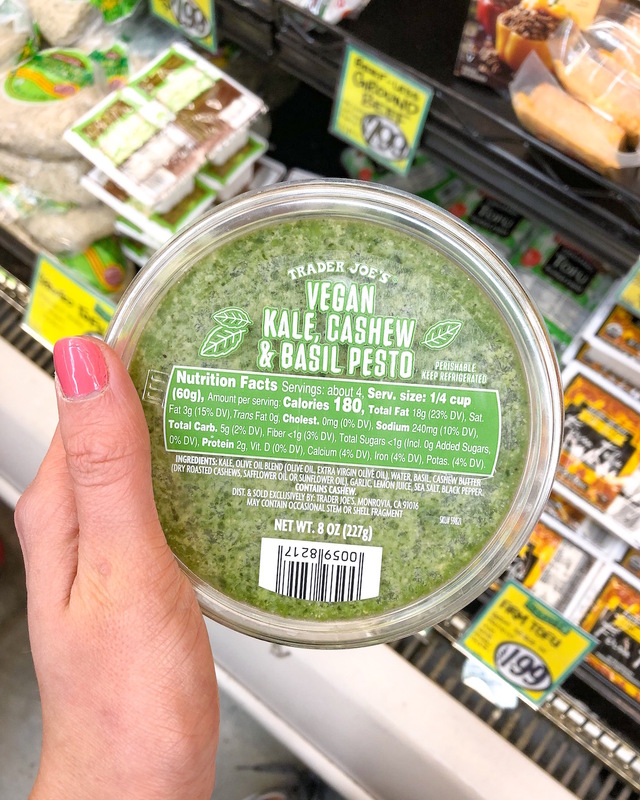 Vegan Kale, Cashew & Basil Pesto // This flavorful sauce is awesome on just about anything and doesn’t taste too different from regular pesto. I love topping it on cauliflower gnocchi and pasta! Cold Pressed Juice // I love cold pressed juices and smoothies, but don’t always have the patience (or time) to always to make these myself. 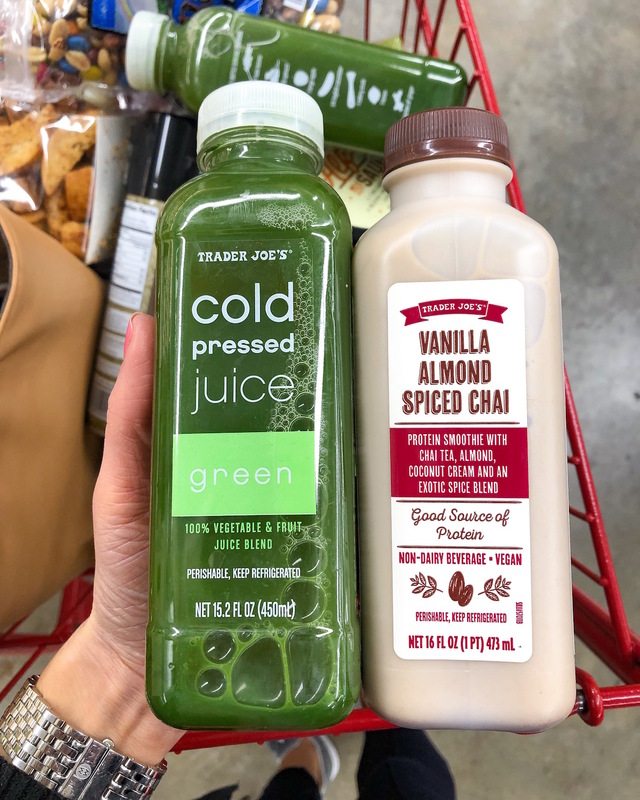 Trader Joe’s has a small selection of modestly-priced fresh juices that are surprisingly tasty and full of fruits and veggies. The green juice is my favorite! 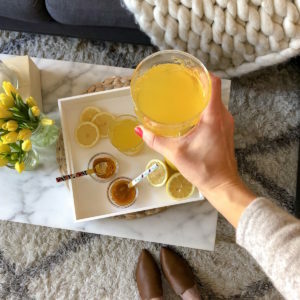 Vanilla Almond Spiced Chai // This is such a good on-the-go morning/post-workout drink if you’re not big on coffee or are looking for extra protein. It’s creamy and refreshing, yet too overly spiced and doesn’t contain any dairy! 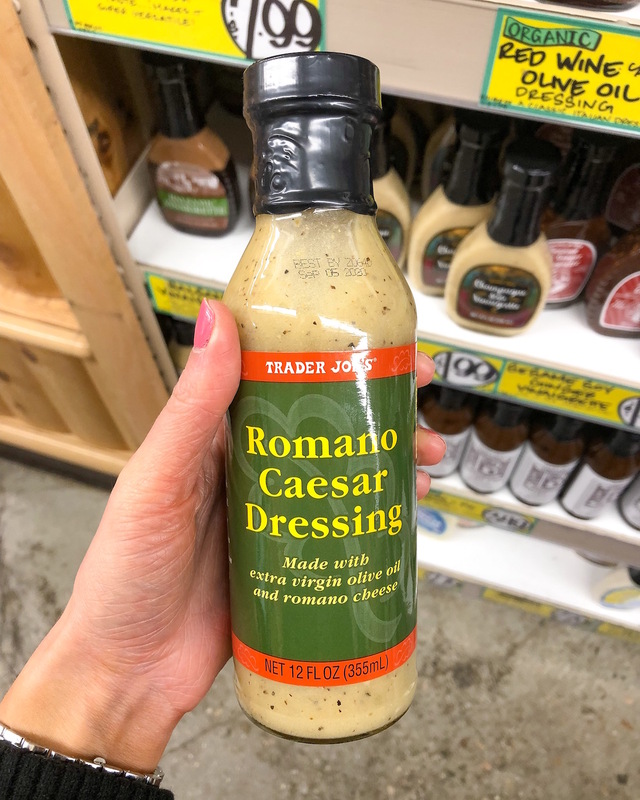 Romano Caesar Dressing // If you’re looking for a non-creamy caesar dressing that’s still hearty with a lot of flavor and cheese, then you’ll be obsessed with this one! I finally gave it a go and haven’t looked back since. 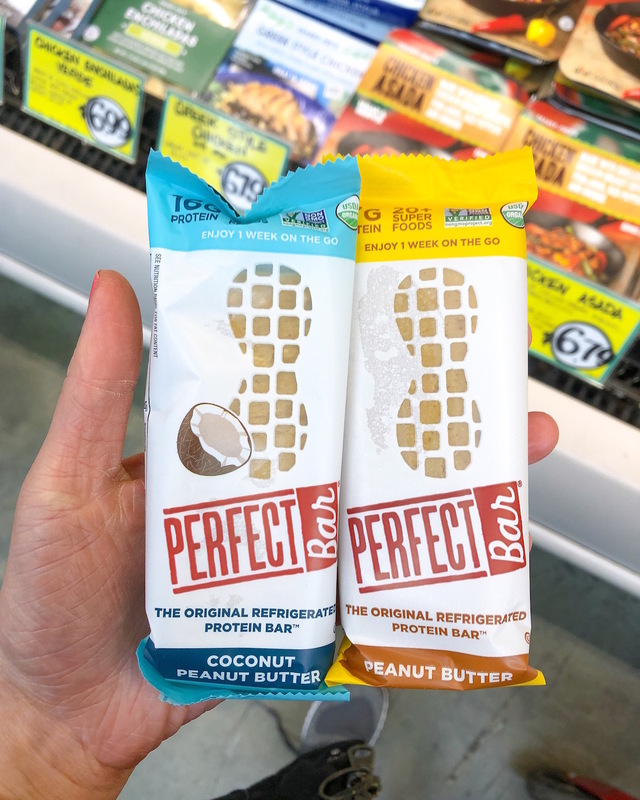 Perfect Bars Protein Bars // So these aren’t an official Trader Joe’s branded product (I’ve definitely seen ’em at Whole Foods) but it’s where I first discovered these insanely delicious protein bars. These honestly taste more like a dessert or yummy treat then a health food bar. I love eating these after workouts or as a meal on the go. One bar is incredibly filling! 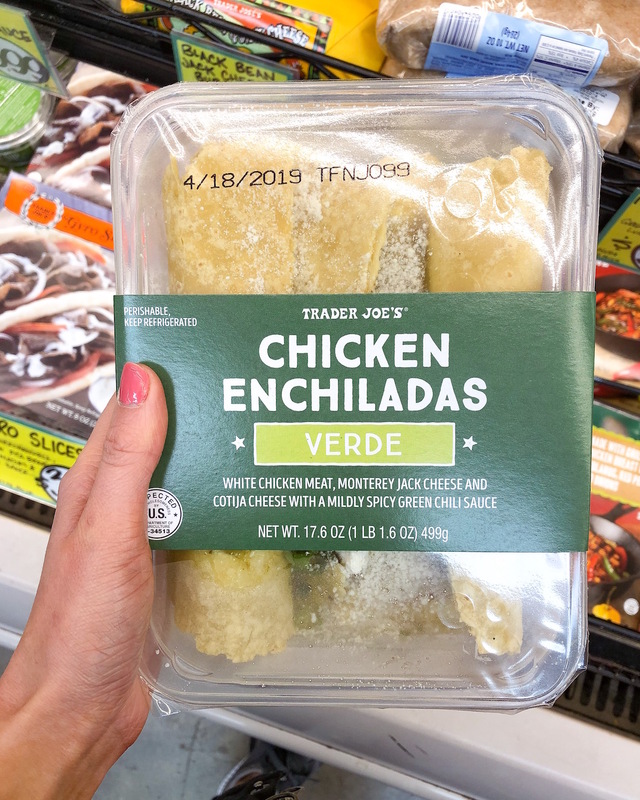 Chicken Enchiladas (refrigerated) // This was the first time I spotted these and right away I knew I wanted to give them a try. So many of you asked me to share my thoughts on these and the verdict is… SO GOOD. I made these for Nick and I a few nights ago and it was the perfect portion for two people. I followed the directions exactly, but added a few minutes of broil time for extra crispiness. 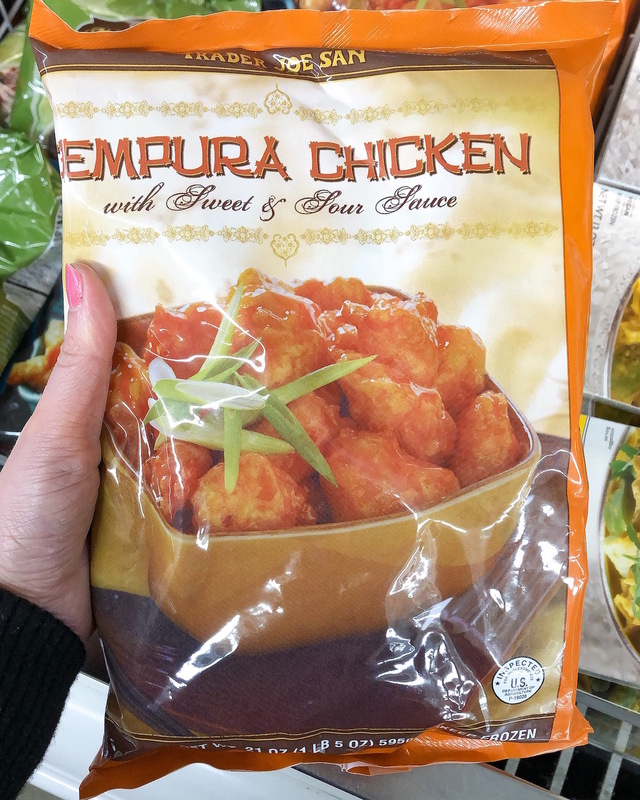 Tempura Chicken (frozen) // I’m normally not a big fan of Asian food/flavors but randomly decided to grab a bag of this chicken to try. We had this for dinner the other night and loved it! I followed the directions exactly and served the chicken with a side of brown rice and a salad. 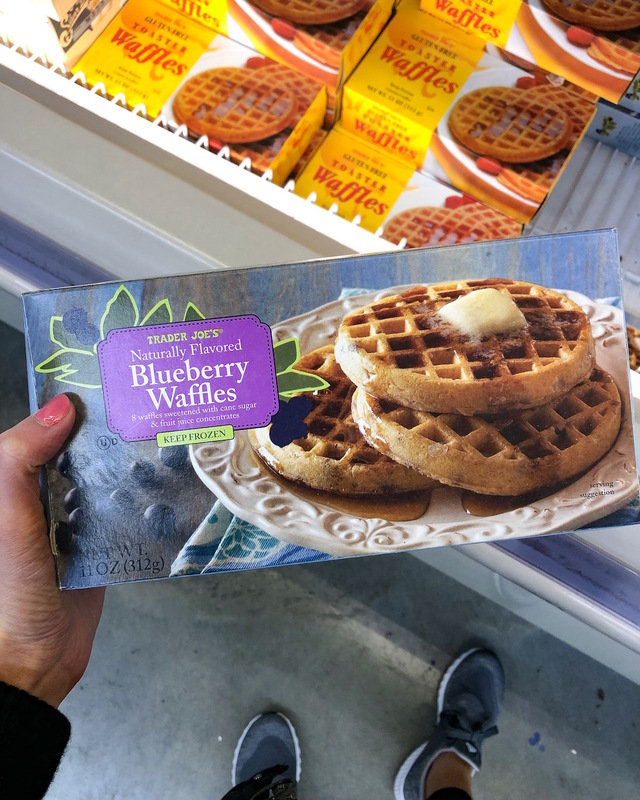 Blueberry Waffles (frozen) // I’ve been on a waffle kick recently so these were an easy decision. 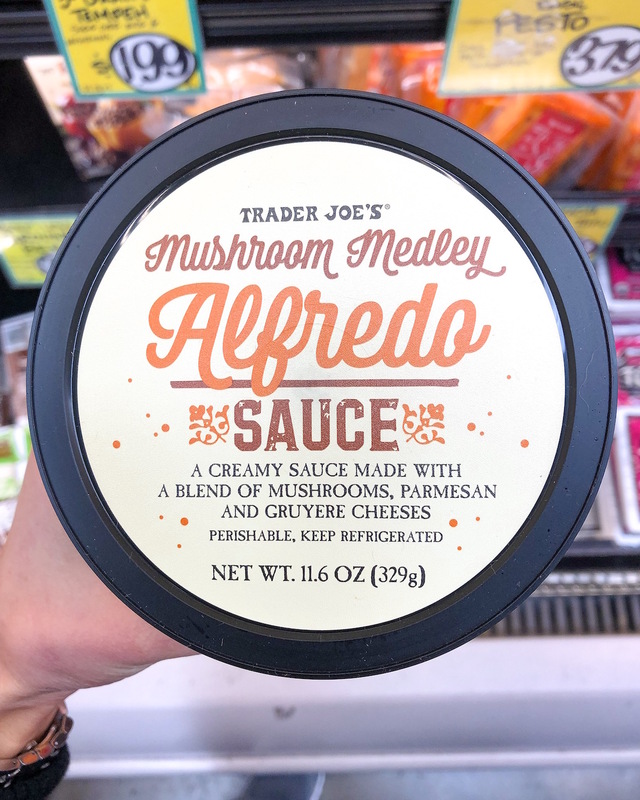 Mushroom Medley Alfredo Sauce (refrigerated) // Another item I noticed for the first time! Haven’t had a chance to use it yet, but I’ll keep you guys posted! 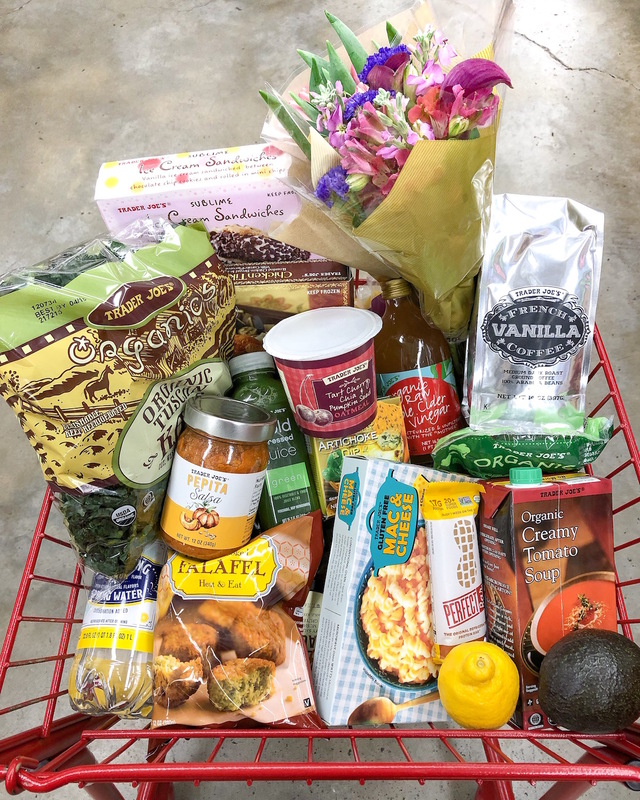 What are you favorite Trader Joe’s products? Anything you think I should try? Let me know if you’d like to see more posts like these! Try putting the everything but the bagel seasoning on the salmon…yum!! Yes! We have slow roasted salmon with honey, chili powder, and everything bagel seasoning over salad weekly – so good! Is it cheaper to buy pre-made food in the US, than to make homemade? No Trader Joe in Canada , so I’m just curious. I love the frozen naan! I’ll use it sometimes for easy-pizza meals (sauce and a few simple toppings). They also have these Rosemary and Fig crackers that are to die for. Its in a cute purple box too. Oh Katie how I love grocery shopping too! Always have, it’s gotten to be a bit more of a chore with 2 kids but deep down inside I still love it! Plus, if I had a Trader Joe’s there’d be no chore in it. I love my Australian grocery stores but Trader Joe’s appeals to ME so much. Also, I have to try that seasoning that EVERYONE loves, next time I’m in the States I’ll have to get some! You must have went at an off peak time. I was there Sunday at 4pm and I could barely navigate my cart. The Whole Foods in TriBeCa and Brooklyn are both WAY better. Your haul included a few of my staples! Some other favorites are sweet potato tortilla chips, frozen jasmine rice, GF frozen chicken nuggets, frozen tri-colored carrots, spicy red pepper hummus, and Scandinavian swimmers (TJ’s Swedish fish). Love me some Trader Joe’s! I buy a lot of those same items for my family (2 daughters, 7 and 10). My husband uses the garlic naan as a pizza base and my kids eat their cereal bars and mini bagels daily! 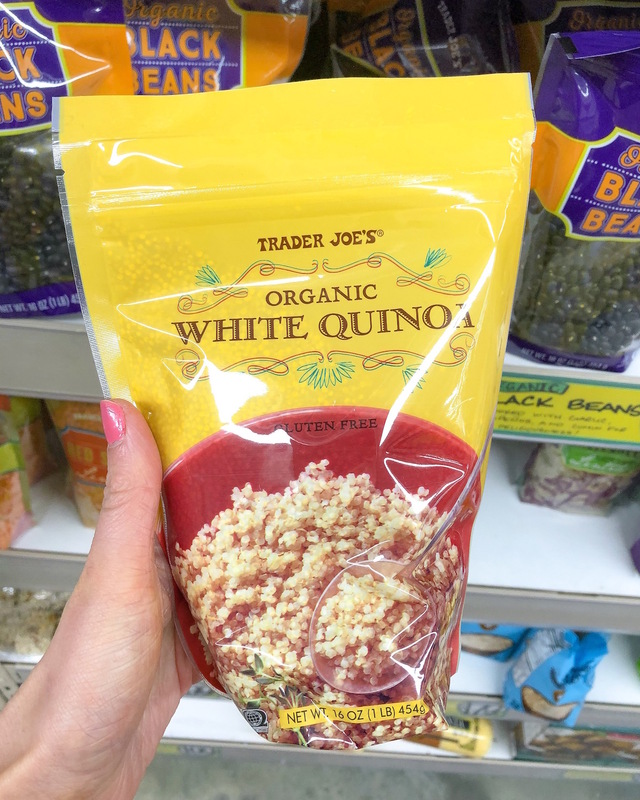 Personally, I love the chopped salad (but it often needs extra lettuce but it’s worth it for the dressing alone), the quick brown basmati rice is a staple in my cooking, the trail mix with just the nuts and chunks of chocolate, and the black bean/quinoa chips! AND, the dark chocolate peanut butter cups are AMAZING. I even travel with them as a back up dessert. Ha! One of my daughter’s is a picky eater (shocker) so I get protein in her with the chicken chile lime patties from the freezer section. They’re also great for having on hand to put over a salad. We now have 2 TJ’s near us but one of them the parking was so terrible I hated going. Now, at the new one, parking is so easy I am going there much more often. Lol. Everyone who shops there can go on and on about their food. It’s too funny. Katie , I love how informative you pages are ,your fabulous, and I’m loving how you decorated your apartment. If only I could be so organized I have a bedroom house in Las Vegas and need organization. But working on it. by the way that’s a lower case L in my email not to confuse with the #1. Try the Cashew Fiesta dip- all vegan cheese alternative dip. It’s great warmed up over shredded chicken or nachos!! I also love the frozen Mandarin Orange chicken (also not a fan of Asian flavors, but this is so good). Love all your selections, going to try some this week!